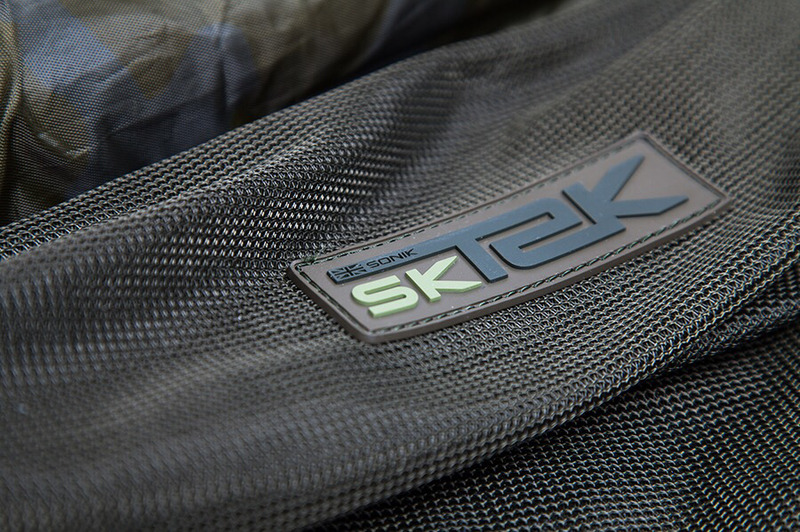 With a lightweight design which allows for easy weighing, the Sonik floating weigh sling gives you fish care that’s easy to take to the bank, with quick draining mesh base and sides, and a meshed camo top, which helps keep the fish calm. A number 10 zip provides heavy duty protection, with a zip-lock clip. A 5m retaining cord, with bankstick attachment, gives you the versatility of using the weighing sling to hold fish safely in the margins for a short period, if, for example, a fish needs more time to recover after putting up a particularly strong fight. A single span tension bar allows you to launch and retrieve quickly if you’re using as a retaining sling, while wide span weighing straps and easy hook scaleloops give superior balance when used as a weighing scale, even if you’re weighing in large fish. Night sessions are taken care of by the night-sight reflective strips, which allow you to weigh in your darker-hours catches safely, and with ease.